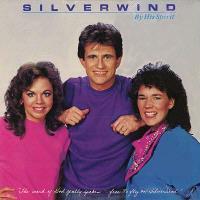 In 1985 Betsy Hernandez, Georgian Banov, and Patty Gramling Forney recorded Silverwind's third release, By His Spirit. Again, Betsy wrote the lyrics and Georgian wrote the music for most of the songs. Frank and Georgian co-wrote Praise Anthem on this project. Selecting the 'Buy' button will take you to 'iTunes' where these songs can be purchased! Sorry, there are currently no songs available to listen to. Frank & Betsy wrote/co-wrote, produced, and/or sang songs on all of the following projects. Please select a title for more info or individual songs.